(no phone cancellations will be accepted). Refunds can be made ONLY on cancellations received before 2/13/19. NO Refunds will be made after that date. ---> NO-SHOWS will be billed. Cancellations must be received in writing prior to February 13, 2019 (no phone cancellations will be accepted). Refunds can be made ONLY on cancellations received before 2/13/19. NO Refunds will be made after that date. ---> NO-SHOWS will be billed and expected to honor their invoices. Cancellations must be received in writing two weeks prior to each scheduled course date (10 business days). Please email as no phone cancellations will be accepted. Refunds can be made ONLY on cancellations received by date/s 10 businewss days prior to scheduled course. NO Refunds will be made after that date. ---> NO-SHOWS will be billed and expected to honor their invoices. -I understand by selecting MEMBER RATES I have committed to 2018-19 Membership in NYAPT & will be billed separately (if not renewed already). -As a non-member selecting NON-MEMBER RATES I am not subject to Renewal Terms. Cancellations must be received in writing prior to Friday JULY 6, 2018 (no phone cancellations will be accepted). Refunds can be made ONLY on cancellations received before 4/06/18. NO Refunds will be made after that date. ---> NO-SHOWS will be billed and expected to honor their invoices. -I understand by selecting MEMBER RATES I have committed to 2017-18 Membership in NYAPT & will be billed separately (if not renewed already). 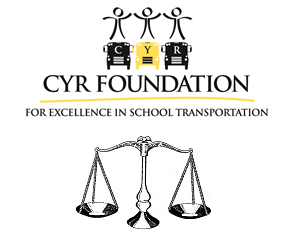 GUEST Registration Terms: Guest registrations are intended to allow spouses, partners and/or children (not employed in Pupil Transportation) of Conference attendees to participate fully in daytime education sessions and meals during the conference. It is not intended as an alternate method for registering employees of the Transportation department or office.
. Registering an employee of the transportation department or the contractor operation as a guest will result in the Conference Attendee being charged the full conference registration fee for that individual. Cancellation: Cancellations must be received in writing prior to February 10, 2017 (no phone cancellations will be accepted). Refunds can be made ONLY on cancellations received before 2/10/17. NO Refunds will be made after that date. ---> NO-SHOWS will be billed. Refunds can be made ONLY on cancellations received before date above. NO Refunds will be made after that date. Cancellation: Cancellations must be received in writing prior to JULY 1, 2016 (no phone cancellations will be accepted). Refunds can be made ONLY on cancellations received before 7/1/16. NO refunds will be made after that date. $35 processing fee for refunds. 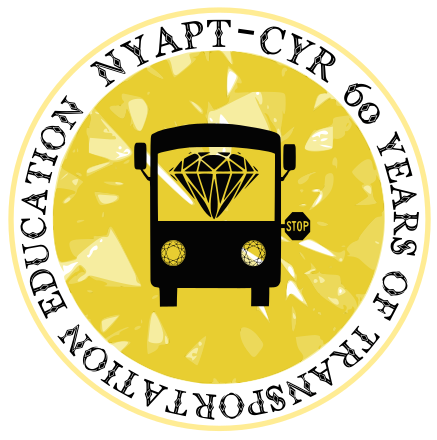 NYAPT 2016-17 Member Rates are available only to current members. Registrants who select NYAPT 2016-17 Member Rates commit to renewing for the 2016-17 year and will be billed SEPARATELY for at their current membership level. I understand that by selecting MEMBER RATES I have committed to 2016-17 Membership in NYAPT and will be billed (if not renewed already). As a non-member selecting NON-MEMBER RATES I am not subject to Renewal Terms. Cancellations must be received in writing prior to JULY 8, 2016 (no phone cancellations will be accepted). Refunds can be made ONLY on cancellations received before 7/8/16. NO refunds will be made after that date. $35 processing fee for refunds. Cancellations must be received in writing prior to February 5, 2016 (no phone cancellations will be accepted). Refunds can be made ONLY on cancellations received before 2/5/16. NO Refunds will be made after that date. ---> NO-SHOWS will be billed. EVENT: 2016-17 WEBINAR SERIES: Transportation Team Learning / Cancellation--Cancellations must be received in writing SEVEN DAYS prior to the January 5th program session: BY TUESDAY DECEMBER 29th. --Refunds can be made ONLY on cancellations received before date(s) below. NO Refunds will be made after that date. ---> NO-SHOWS will be billed. Cancellations must be received in writing SEVEN DAYS prior to the program date for which you registered. (no phone cancellations will be accepted) Refunds can be made ONLY on cancellations received before date(s) below. NO Refunds will be made after that date. ---> NO-SHOWS will be billed. Cancellations must be received in writing prior to JULY 1, 2015 (no phone cancellations will be accepted). Refunds can be made ONLY on cancellations received before 7/1/15. NO refunds will be made after that date. $35 processing fee for refunds.